Joan's Dilemma - William or Robert? I'd say she could handle them both! Love the total control studios had over portraying their images to the public. As in even the behind the scenes photos were impeccably set up. 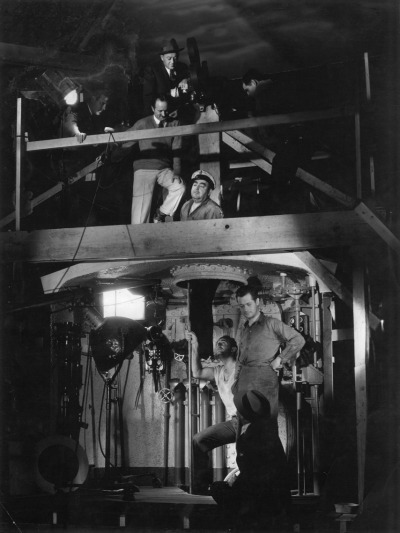 Note in this set photo from Hell Below the crew is dressed to the hilt, the camera man at the very top even has a hat on! Right. And what, pray tell, is he filming from that angle ... the top of Eugene Pallette's head? Whatever. It is an interesting photo with Bob in it, so what's not to like! Constance Bennett, the lady with the large eyes, was born October 22, 1904. 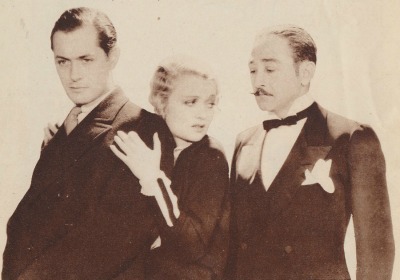 Born into an acting family, she was the older sister of Joan Bennett who appeared with Bob in Three Live Ghosts (1929). Constance was the highest-paid actress in the movies in 1931 when she made The Easiest Way. A strong-willed independent lady who would later establish successful clothing and cosmetics businesses, Constance was an accomplished poker player ... kinda fitting. 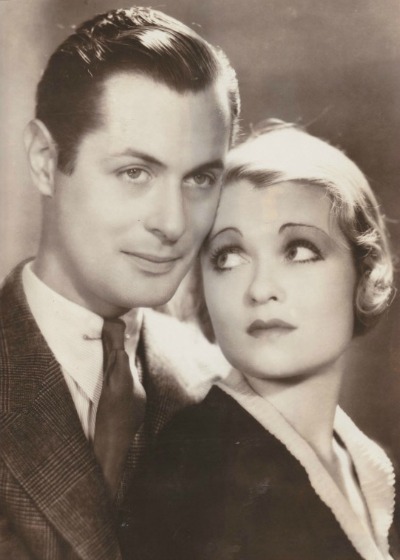 Bob and Constance Bennett ... one good-looking couple! 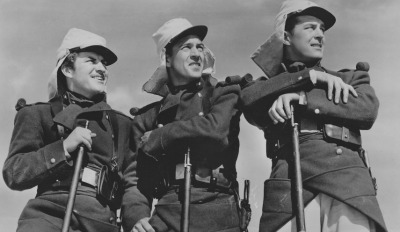 Love the caption for the above photo, used in a vintage movie magazine: It took all three stars to save the old worn-out plot of "The Easiest Way." Ouch! 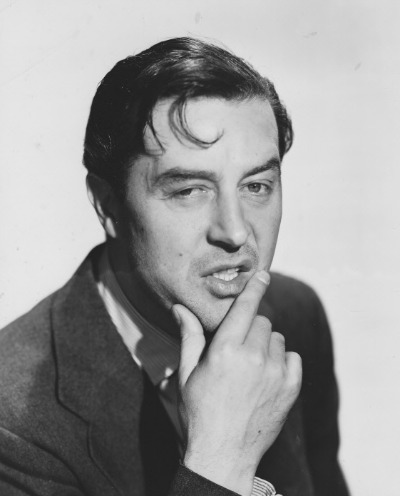 Brian Aherne was handsome, debonair and instantly likeable on the screen. 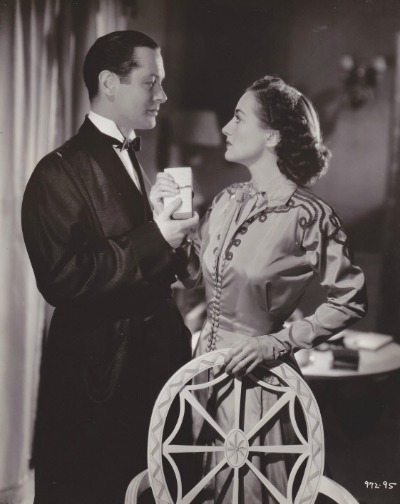 A successful actor in both movies and the theater, Aherne was a longtime friend of depressive George Sanders (no mean accomplishment) about whom he wrote the excellent biography, "A Dreadful Man: A Personal Intimate Book About George Sanders." 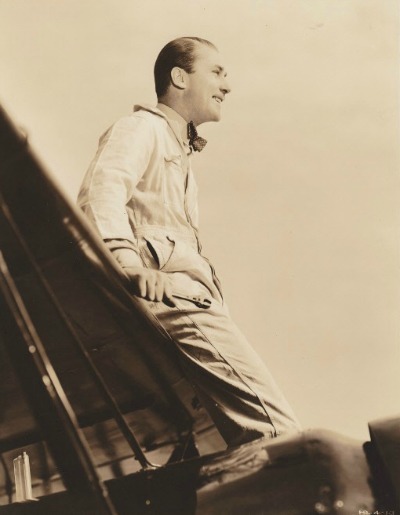 Aherne was also a pilot and owned his own plane. A multi-talented gent was he. 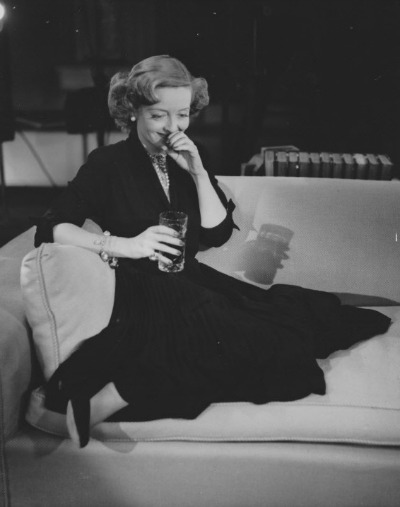 And, following a Bette Davis theme for the week, was quoted as saying, "Surely nobody but a mother could have loved Bette Davis at the height of her career." Bob and Bette on the Same Stage ...Amazing! and later she can't keep a straight face over whatever Bob is doing off camera. Yeah, definitely pros at their business. Which leads me to the classic clip of Bob playing a joke on Bette. You can see it here at 4:17 into the clip. 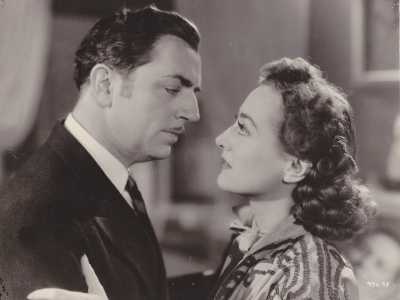 Now just what could he have done for Bette to react that way. Ah, the possibilities. I love Bob's snort at the very end. I have never seen any of Bob's movies in any language besides English. 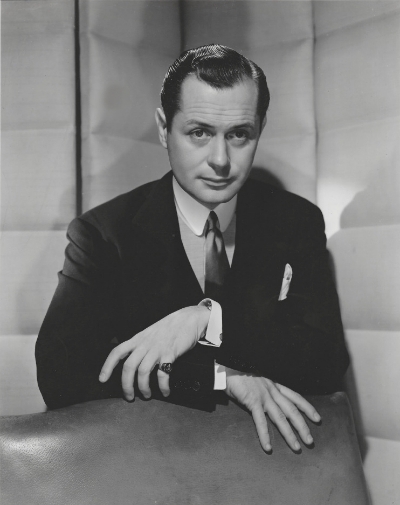 Of course his movies were released worldwide, and that northeastern English voice was dubbed in many languages when originally released. Would love to hear some of the voices used and the effect they would have on the Montgomery persona. 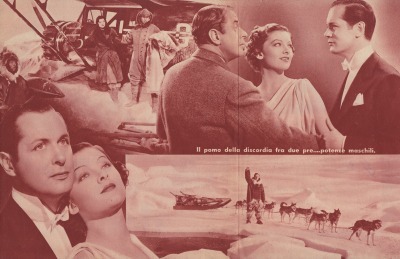 And, of course, the herald used to advertise the movie would be translated as well. Petticoat Fever was no doubt a challenge to translate. 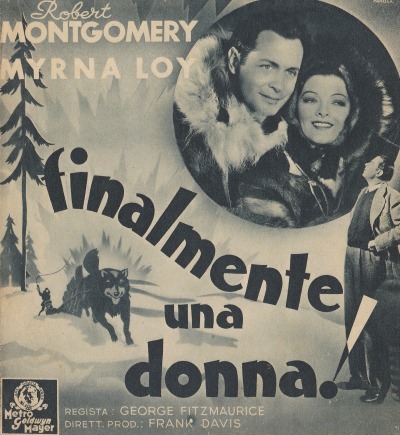 In Italian the movie's name becomes finalmente una donna! or Finally a Woman! A rather more understandable title. Fortunately, no translation or changes were needed for the montages used in the herald. 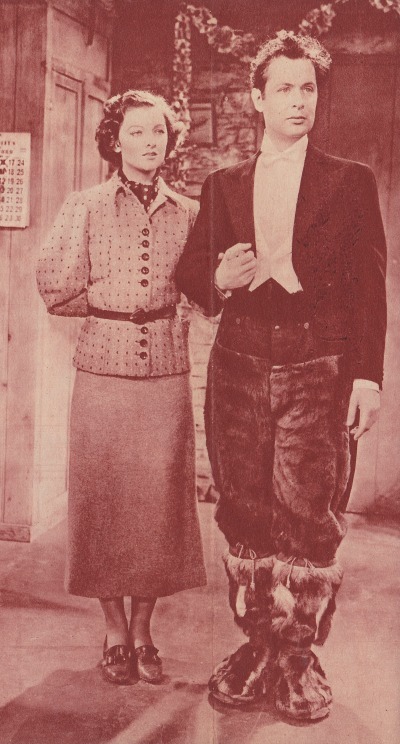 And that outfit Bob wore with the mukluks ... funny in any language. 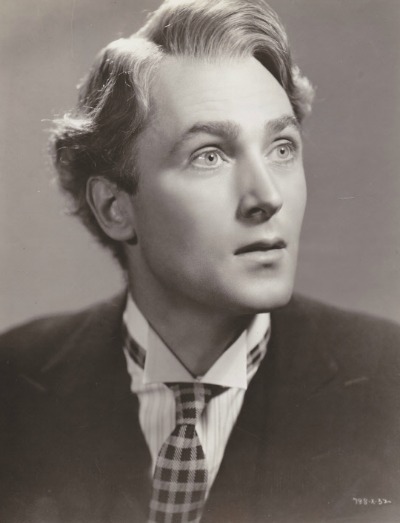 This photo of Bob was taken in 1939 by Laszlo Willinger for the movie Fast and Loose. 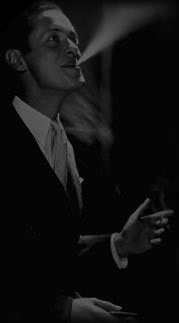 I like the clarity of the photo, the perfectly combed hair, the deep furrows on his forehead, his long "pianist" hands ... the high very starched white collar works for Bob because of his long neck, but it is a style of shirt that fortunately was short-lived. Whatever, the 35-year-old Bob was a handsome dude for sure.